Concrete Kingdoms are a band who immediately captured my attention when I caught them earlier this year at Shock City’s New Blood showcase. Taking some of the best classic and modern influences and shaping it into their own sound and backed by a tight live performance, when their self-titled EP landed in our inbox, I grabbed it knowing it’d be a worthwhile listen. And it is. Before the vocals kick in on opening track and lead single “Time to Play” (which we premiered last month), the riffs alone tell you what to expect – a hard rock band which isn’t messing around. Creating a big, muscular sound with its twin guitars and sinking its hooks into you, it sets the tone for the rest of the EP. Indeed, the band knows their strengths and plays to them whilst avoiding the pitfall of sounding the same across the EP. As such, it’s a tight release without much deviation and they take full advantage of the limited time to let you know what they’re all about. They don’t have that “big ballad” moment but they do bring it down a gear for closing song “Same Old Same” but it’s still a full-on rock song. Think of it as their “Rocket Queen” moment with similarly heartfelt lyrics. Elsewhere, the preceding “Speed Demon” is as full throttle as it gets and is the highlight of the EP, the juxtaposition of the songs showing how much light and shade they can bring to their hard rock sound. There’s great moments of melody throughout the EP as the crunching guitars from Ben Fraser and Mark Faulds weave around each other. Meanwhile, “Die This Day” is able to lull you into a false sense of security with Dougie Fraser’s chunky bassline before the song kicks in to begin its earnest assault. Grant Duncan’s drums show a great deal of finesse and opting, more often than not, for a less is more approach but do ensure you’ll be nodding your head for the duration. It’s similarly matched in Mark Hawthorne’s vocals, displaying great range and control; it’s a great fit where some hard rock bands fall flat on their face in this aspect. 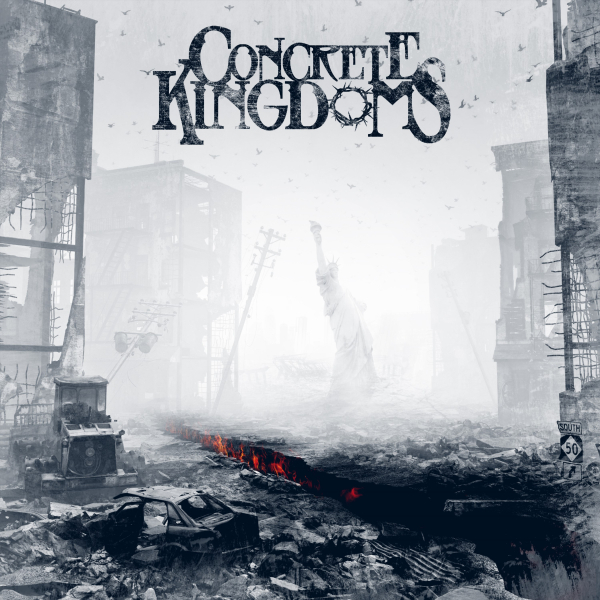 Concrete Kingdoms have a great EP on their hands here and is a perfect reflection of their live shows. Playing top quality songs with the skill to back it up, they’re a band certain of their sound and have made an EP all bands should aspire to – get in, say what you have to and most importantly, leave the listener wanting more.